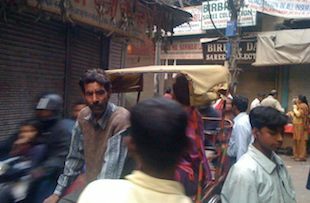 Only day's after Norwegian telecom operator Telenor managed to get out of a fundamentally flawed partnership in India, the company entered yet another relationship with a Indian business man, Sudhir Valia, who is a surprise choice as so far as he is a relatively unknown - a 'obscure white knight' as one Indian business blog called him. The deal is obscure in the way it is done too, as there are no details of the terms between Telenor and Valia, who is an executive director in Sun Pharma and the major shareholder in Lakshdeep Investment & Finance, the corporate vehicle for the deal. Mr Varma is not a total unknown though. He owns a 0.76 % share in Sun Pharma and is a brother-in-law to Sun Pharma's CEO. India's media therefore speculates that Sun Pharma will help Mr Varma to come up with the approximate $ 220 to 270 million needed to pay for the stake in the new JV with Telenor. In a deal of this magnitude and considering Telenor's last relationship went sour a bit more clarity would have served the company well. Telenor was running out of time. It needed an Indian partner urgently to have a chance to win a new license. FDI restrictions allow foreign ownership up to 74 % in the telecom's sector, the remaining 26 % must be owned by Indian shareholders. Undoubtedly Norway's telecom pride Telenor, to have the slightest chance to recover all or part of its investment in India, its largest foreign investment ever, must stay at at the poker table and increase the stakes. To chicken out would be a monumental defeat and ultimately be unhealthy for Telenor's management and board, which includes representatives from the Norwegian government, its largest shareholder. 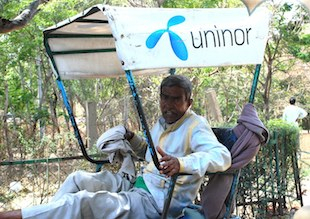 Telenor showed extraordinary naivety when it entered India, to say the least. At the time when the company entered the Indian telecom sector was the fastest growing in the world, it grew by an amazing 10 million subscribers a month. And Telenor had done very well in Pakistan and Bangladesh already. So it was too tempting to not go for it when the opportunity presented itself to enter India and its mesmerising 1.2 billion people market. After the license issue blew up in Telenor's face Jens Stoltenberg reiterated over and over again that the company had done its due diligence and had found no reason to suspect foul play in relation to the license it bought from Unitech. Meanwhile Indian media and opposition politician's made a big issue of Unitech making close to 2 billion dollars in a few months by selling a majority stake to Telenor. The air was thick with allegations of multimillion backhanders. As it were the Norwegian telecom operator, who has introduced fairer labour practices to the sector and has the admiration of its employees and agents, is taking a huge risk by pushing for a new license. A new license will not come for free and on top of it all further capitalisation will be needed. Uninor, which has accumulated an astonishing 45 million subscribers in three years, was far from breaking even, delivering only about 15 dollars in revenue per subscriber last year. Uninor was, at the best, at least five years away from breaking even (without massive write-offs at the expense of Telenor's shareholders). On the other hand if Telenor didn't move ahead it would loose most of its investments in India. With a new partner and a new license Telenor at least can build on whats been achieved and either continue the long hard march towards profitability - or sell its stake to consolidate India's highly competitive, crowded telecom's sector. For Telenor's shareholders either way looks bleak in the short-term. The new Indian partnership and the secrecy around it may be tactical, perhaps Mr. Valia is just a stop-gap solution and that Telenor in the next step will help and consolidate India's crowded mobile telecoms sector and get a handsome payout. From what we know it is hard to assess the medium- and long term prospects. For sure long term India is the place to be and perseverance should pay off. But the next few years will be tough. India's economy, resilient when the rest of the world went into recession in 2008, has fallen on hard times. Telenor will have to cough up another billion dollar or two before its payback time. The turn of events however must come as a relief for Telenor's CEO and board. Immediate threats are brushed aside, a new license should be in the bag for a price the company easily can handle. High risk, hopefully high reward.